… you’re going to love San Diego with its vibrant and varied theater scene. At least 12 plays a year are presented on its three stages. There’s the 581-seat Old Globe, patterned after the bard’s own playhouse. The intimate 225-seat Cassius Carter Center Stage is next door. The nearby 612-seat Lowell Davies Festival Theatre is an outdoor stage for summer productions. The Old Globe first gained fame for its Shakespearean performances but today is equally renowned for its contemporary plays. Founded in 1947 by Gregory Peck, Dorothy McGuire and Mel Ferrer, the La Jolla Playhouse has grown into one of the most respected regional theater in California, San Diego (UCSD). The center is also the site of productions by UCSD’s Theater and Dance Department. The San Diego Repertory Theatre has been hailed both for its many critically acclaimed productions and for launching two-time Oscar-winning actress Whoopi Goldberg on her career. The Repertory’s home is the Lyceum Theatre at Horton Plaza in downtown San Diego. Visit the Civic Theatre with its opulent decor and great acoustics is indeed a memorable experience. This is where the curtain goes up on touring productions of Broadway hits like “Phantom of the Opera” and “Miss Saigon.” The 2,992-seat downtown theater is also home to the San Diego Opera, the La Jolla Chamber Music Society and California Ballet Company. Acclaimed for its design, the California Center for the Arts, Escondido, is nestled in the northern reaches of San Diego County. The 1,524-seat concert hall and 408 seat theatre offer an annual performing arts season including dance, classical music, theatre, Broadway shows and world music. It’s the North County site for concerts performed by the San Diego Symphony. Approximately 60 shows are scheduled each season. In addition, the museum hosts several educational outreach programs including lectures, slide shows, workshops and museum tours for school groups. The Coronado Playhouse has been an important cultural outlet for Coronado residents for more than 50 years. Supported by an all-volunteer staff, the 104-seat, cabaret-style playhouse is community theater in the purest sense. One of the Gaslamp District’s newest playhouses, the Culy Theatre offers top performances in an intimate, cabaret-style setting. The 106-seat Diversionary Theatre is located in University Heights, and is best known for productions that discuss gay and lesbian issues. The East County Performing Arts Center features a mixed bag of entertainment ranging from comedy revues to country music and the sound of big bands in a 1,184-seat theater with a state-of-the art sound system. Based at Coronado’s Resident Theatre, the group annually stages five productions from February through November and attracts audiences from all over Southern California. This theater group has grown steadily in stature since the days when it performed in an old church. This 125-seat playhouse has been a San Diego institution for half a century. The Lyceum Theatre is located at Horton Plaza in downtown San Diego. It has two stages and is the home to the San Diego Repertory Theatre. The 230-seat theater operates year-round, five days a week. Performers are San Diego Guild of Puppetry amateurs and professionals who use marionettes and ventriloquist puppets, as well as hand puppets. Shows change every week. The box office opens half an hour before each show. The beautiful 2,200-seat Moonlight Amphitheatre is known for its summer season, which is performed under the stars in the picturesque hills of Vista. The winter season’s productions include dramas, comedies and musicals. Mystery Cafe is San Diego’s premier interactive theater. Each play is performed in four hilarious acts. Between each act a delicious four-course meal is served by the suspects themselves. Toward the end of the evening, the audience attempts to solve the mystery — and guess whodunit! In addition to seven major productions staged year-round, the celebrated theater group also offers classes in acting and singing for children. The Tony Award-winning Old Globe Theatre stages productions spanning many genres and time periods. Founded in 1935 to stage Shakespearean plays at the California Pacific International Exposition, the Globe has grown to include three stages — Old Globe Theatre, Cassius Carter Centre Stage and the Lowell Davies Festival Theatre. 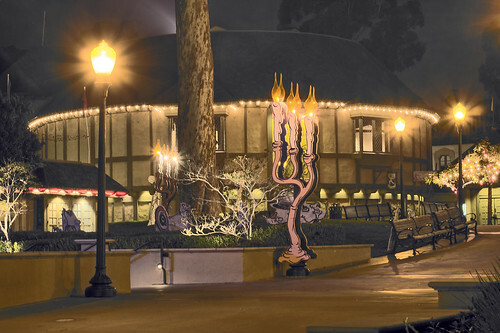 One of the highlights of the Old Globe’s season is the annual San Diego Shakespeare Festival. Under the leadership of Director-in-Residence Des McAnuff and Artistic Director Michael Greif, the group has won recognition for the staging of new plays, musicals and classics, and is the 1993 Tony Award recipient for Outstanding Regional Theater. Many of the group’s projects have moved to productions on Broadway. Patio Playhouse has provided affordable, quality entertainment to the community since 1967. Operated by an all-volunteer staff, the theater group was established for the purpose of providing a venue where people from school-age to seniors can participate in live drama, learn new skills, and enrich the quality of life in the community. The youth theater provides in-school performances to introduce school children to live theater. Located in North County inland, the 815-seat facility hosts symphonies, ballets, children’s theater, dance and musicals. The Starlight, which kicks off the season in May has been staging outdoor musicals in Balboa Park since the 1940s. Founded in 1980, the group brings experimental theater and performance art to prominence through more than 20 productions that are staged annually at their 100-seat facility. The San Diego Comic Opera Company presents operas and operettas from the European and American traditions, ranging from early Opera Buffo to modern Broadway classics. This theater presents favorite Broadway musicals throughout the year. Combining a show with dinner is a fun way to spend an evening. San Diego has several murder mystery groups that give dinner guests, including undercover cast members, a chance to solve a whodunit while enjoying a full meal. The Comedy Store in La Jolla features both aspiring and top-name comedic entertainers. A number of San Diego restaurants offer dinner entertainment ranging from flamenco and belly dancing to full theatrical productions. San Diego Lifestyles - not just for the rich and famous! Balboa Park - an architectural feast for the eyes. San Diego Symphony goes worldwide!